Do you have any of these 6 problems now? No Hot Water: Gas, electric, residential or commercial, about 62% of the time our factory trained technicians can get your hot water back on without replacing your water heater. And if you do need a new water heater, We’ll normally have it installed in less than two hours, saving you both time and money. Water Leak: A dripping faucet is annoying and probably has been for weeks. A leak in a hidden pipe is a nightmare. Our experts use their years of training to minimize your cost and make it a little more pleasant experience. Broken Disposal: If the disposal is jammed, just won’t run, or in need of replacement, Sanders Plumbing can solve the problem. 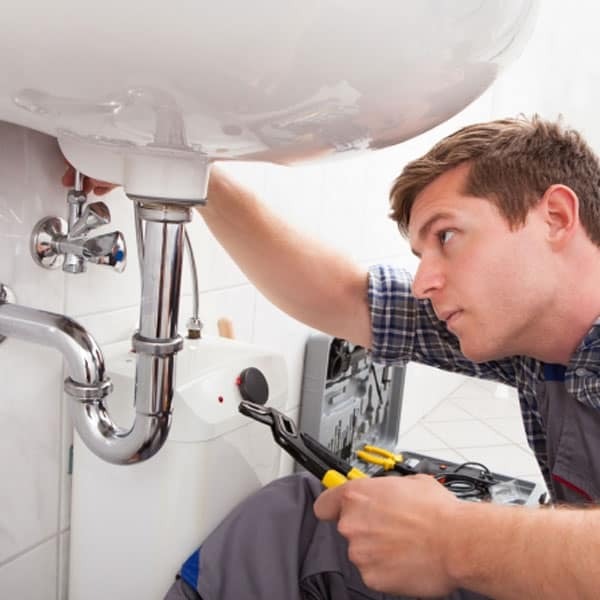 Toilet Trouble: If your toilet is “gurgling”, leaking water into your floor or ceiling, the water bill is too high or even if you have one of those ‘water saver’ toilets which require double flushing and lots of plunging – Sanders Plumbing can quickly and economically solve your problem. Blocked Sewer: Blocked sewers are usually one of two problem. Either you have a broken line or tree roots. Sanders Plumbing has the equipment and knowledge that allows us to find your real problem quickly. Clogged Drain: It doesn’t make any difference whether the clogged drain is at your home or business. We have the high speed ‘rooter’ and high pressure jetting equipment that can get the job done quickly. Our 100% Satisfaction Guarantee. It’s simple.If you are unsatisfied for any reason we will make the repairs FREE OF CHARGE.